Update: I looked up the license plate, and it’s actually a 1995 840Ci. The badge is faker than a three dollar bill. 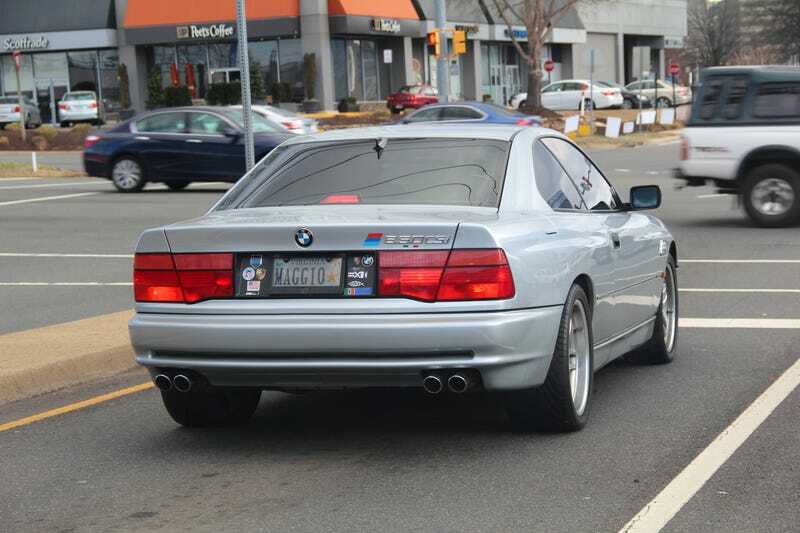 The 850CSi was BMW’s range topper in the mid-90s, and retailed for more than $100K new. Only 225 were imported to the US. When this passed me today, I braked and pulled a U-turn to chase him down and take this picture. It’s the first 850CSi I have ever seen.